The image of cider as a low cost, high ABV alcoholic beverage is well and truly outdated in the UK. 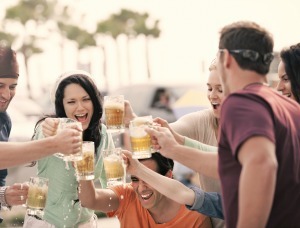 Instead, the beverage is now perceived as fun and vibrant with a trendier image than that of beer. According to a recent Canadean survey, 29% of UK adults drink cider. Although the drink is not as popular as beer (44% of those who drink alcohol drink beer), it shows that cider is becoming more popular as an alcoholic drink. Moreover, cider drinkers have one unanimous verdict of the cider market: 68% believe that cider has a more premium image in the UK compared to ten years earlier. The reinvigoration of the cider category in the UK can in part be explained by the move away from low cost, high ABV brands to more premium beverages. An example of this was the launch of the C&C brand Magners in 2005, which introduced the ‘over ice’ concept. This launch attracted a new breed of fans with a total of 14% of cider drinkers in the UK saying that they started to drink cider as a result of the introduction of this brand. This figure rose to 26% among those aged 25-34 years old. 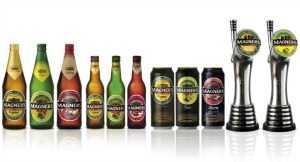 Magners remains the most sampled beverage in the cider category, with a total of 77% of cider drinkers saying they have tried it – followed closely by Bulmers (72%) and Strongbow (70%). Brands, such as Magners, have helped to position cider towards a premium image as only 12% of cider drinkers now feel that the brand has a negative image in this country. As well as moving away from its association with low cost and high ABV, the perception that cider is ‘a summer drink’ is also changing. A total of 53% of cider drinkers disagree that they only drink the beverage in the summer months. Instead, the trendy image, sweet taste and exciting flavours make it popular amongst drinkers all year round. The appeal and contemporary image of the cider market can be attributed to the different positioning of brands in the market – with each one looking to create stand out appeal in both off-trade and on-trade. For example, Orchard Pig has looked to buck the “over-ice” trend and instead focus on pairing the beverage with food. Both Brothers and Kopparberg have created an affiliation with the music scene. Hogan’s, for example, has focused on locality and traceability of ingredients, whilst Thatcher’s has a firm focus on heritage and authenticity. Irrespective of the brand, the key issue is the focus on differentiation to create stand out appeal. This niche positioning has enabled the cider category to create a cooler, contemporary and stylish image over the beer category. Indeed, whilst much attention has been given in the industry to the rise of “craft” and “specialty” beer, 44% of cider drinkers agree that the category is more fun and trendy to that of beer. Given the relatively stagnating sales of beer in the UK, this shows that cider is one area of cross-category inspiration and opportunity for beer manufacturers. When it comes to actually drinking cider, the beverage is popular for universal reasons. A total of 77% of cider drinkers believe that the diverse array of flavours makes it popular for both men and women. Whilst some social taboos may still exist in some beer and spirit categories, when it comes to the stereotypical consumer, this shows that such barriers do not exist in cider. Equally, only 36% of cider drinkers believe that the category is more associated with younger people. As society continues to age in the UK, cider manufacturers can take reassurance that the formulation and positioning of cider is not misaligning with the need states of more senior drinkers. Other popular reasons for drinking cider in the UK are that it is refreshing (81%), has a sweet taste (37%) and a diverse range of flavours (26%). The popularity of the beverage, due to novel and diverse flavours, and the sweet, less intense taste compared to other beverages also means that the category can serve as an inspiration for the flavoured alcoholic beverage category when it comes to positioning; a category with similar attributes aiming to create appeal among younger consumers. According to a recent Canadean survey, 16% of cider drinkers say that they drink cider because it pairs well with food. This proves not only the elevated status of cider, but also the category’s ability to compete with wine (synonymous with food pairing) and beer (a category in which the food/alcohol trend is emerging, though to a lesser extent). As cider continues to adopt an increased upmarket positioning, the popularity of this category will continue to grow as a result of more discerning drinkers wanting beverages that reflect their personality and identity, as well as offering fun, excitement and indulgence. As more people are attracted to the market, it will increasingly be used as a source of inspiration for other alcoholic beverage categories. Interested in more of Canadean's insights into the Food & Beverage industry? Check out their latest reports. 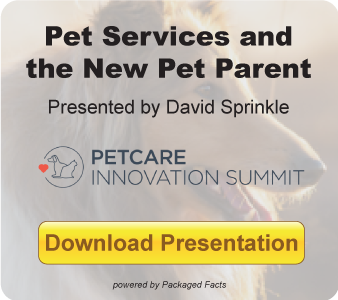 The blog post is written by Michael Hughes, Lead Analyst at Canadean Custom Solutions. All numbers used in this text are based on a recent Canadean Custom Solutions survey of answers from 2,000 UK-based adults. The survey was conducted in February 2014. Canadean provides in-depth market research across the fast-moving consumer goods (FMCG) sector, including food, packaging, ingredients, soft drinks, beer, retail, foodservice, wines & spirits and cosmetics & toiletries. Canadean specialises in conducting online survey panels, producing in-depth market insight country reports through qualitative and quantitative research.